All About Detonation and Preignition - There IS a Difference! To me there isn’t anything cooler then watching the needle on an analog boost gauge race towards a number that would make most people flinch or cringe… as if they’re expecting to hear some sort of gunshot followed by metal on metal warfare. Not me. I’m a boost addict right down to the core of my soul. Too much being almost enough in most cases. It’s this same desire that’s helped me to send my fair share of motors to the boneyard ahead of their time. Well you can only screw around for so long before you realize that doing it the right way insures a lot more time spent behind the wheel and less in the garage. You’re not going to successfully run huge numbers of boost unless your tune is on the money. In my humble DIYer opinion, there is one thing more important then any other aspect of tuning, and that’s understanding and controlling detonation. Let’s roll through the normal combustion process first. I don’t want to use a bunch of technical speak here and muck it all up trying to use big words, so I’m going keep it as base as possible. Normal combustion is simple. 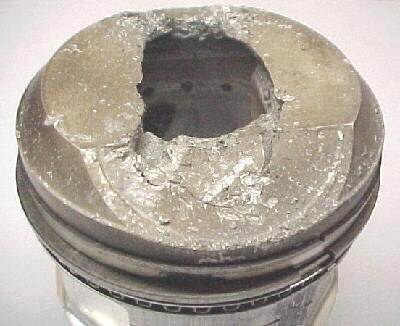 The air and fuel mixture (AFR) is being compressed by the piston as it travels up the cylinder. When the piston reaches a predetermined point (we’ll use 20* degrees before top dead center, or BTDC for our example), the spark plug fires and starts the combustion process, originating at the plug tip. 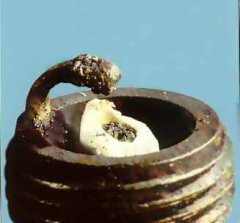 The burn should be steady and even as it spreads out from the plug and moves across the chamber, like throwing a rock into a pond. At the end of the combustion process, all of the air fuel mixture has been burned and the piston is traveling back down the cylinder. There is no “explosion” – just an even and controlled ignition. Notice I said even and controlled, that’s the key to the entire process. It’s hard to define detonation and not pre-ignition because the two are often confused and or misunderstood. Detonation and pre-ignition are two distinctly different types of combustion. Detonation is the AFR mix igniting by itself due to heat and pressure. Detonation is what occurs AFTER the spark plug has fired. Everything that happens before the spark plug fires is considered pre-ignition. Simple, right? Maybe, maybe not. How do you know which one you’re suffering from and what causes what? Pre-ignition represents the worst possible thing that can happen during the combustion process. Detonation is pretty common and motors can run for 100’s of thousands of miles while suffering from light to moderate knock – Especially today’s newer cars with intelligent knock monitoring. However, these aren’t high performance engines. Pre-ignition is what happens when you have a hot spot inside the combustion chamber. A hotspot is something or some area that gets hotter then anywhere else. The usual suspects are the plug ground strap, the plug tip itself, or even a bit of carbon on the exhaust valve or the piston head. Basically anything that can act like a “glow plug” inside the combustion chamber can cause pre-ignition. What we have during a pre-ignition event is the AFR mix entering the chamber as the piston is reaching the bottom of its stroke and returning to the top. When the piston is at the bottom of its stroke, the pressure AND temperature of the AFR mix is the lowest. As the piston travels up the cylinder the temperature and pressure increase greatly, making the mix harder to ignite. Sometimes the pressure is so great the spark event isn’t strong enough to ignite the AFR all the way (or at all) in some cases. This is the reason for aftermarket ignition amplifiers. I’m only explaining this now so you understand that there is a substantial difference in temperature and pressure between the top and bottom of the piston stroke. At the bottom of the stroke the AFR mix is at the point where it ignites the easiest. This is where a hot spot, if it exists, can ignite the AFR mix causing pre-ignition. The result is the entire AFR mix lighting off at once as the piston is moving up the cylinder. You’re not going to stop the mechanical rotation of the crankshaft so the poor piston is left trying to compress an explosion. The heat generated will melt the crown of a forged aluminum piston in a fraction of a second. Total engine failure is always the end result of pre-ignition. Unfortunately, you often don’t get a chance to troubleshoot pre-ignition. On the rare occasion that you are, some of the signs that you’re suffering from pre-ignition are worn and eroded spark plugs – Sometimes the ceramic will be cracked or missing. To stop pre-ignition ahead of time you need to eliminate hotspots and keep the motor running at normal operating temps. A motor that runs hot is making every single vehicle system work harder. The correct heat range spark plug is a must. 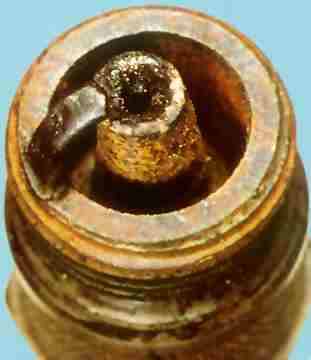 An incorrect heat range plug can induce pre-ignition all by itself. Hotter plugs are better for cold starting and idle etc, but bad for a high output motor. Forced induction motors should always run 2 or 3 heat ranges colder then a NA motor. If you’re motor is run under a load for an extended period of time you’re going to need to take extra steps to avoid pre-ignition. Some manufacturers use piston oil squirters, small jets that spray oil onto the bottoms of the pistons. This cooling of the AFR mix inside the combustion chamber is called quenching. The cool sides of the cylinder and piston head “quench” the AFR mix as it ignites, helping to control the flame front as it spreads out across the chamber. Regardless of steps taken, all efforts to avoid pre-ignition MUST be considered throughout the build and during the tuning process. Like I mentioned earlier, detonation is an event that happens after the plug has fired. It’s caused by too much heat and pressure inside the combustion chamber. The high heat and pressure become great enough to light off the remaining AFR mix all by itself. The result is multiple flame fronts inside the combustion chamber. When this occurs, you get a sharp spike in cylinder pressure. If you were data logging cylinder pressure you would see a steady rise in pressure as normal combustion occurs, followed by a sharp but brief spike caused by the detonation. The sound you hear, referred to as knock, is the engine itself and the rotating assembly absorbing the shock, not the actual combustion inside chamber. The frequency of detonation is close to 6400 Hz, in almost all engines – with little or no difference between aluminum and iron blocks. The knock sensor picks up vibrations at this frequency and tells the ECU to pull timing and / or add fuel. Severe detonation can’t be compensated for by the factory ECU, although there are some aftermarket systems that will go as far as to shut down the motor under severe knock. Moderate levels of knock will cause bearing wear, something often misdiagnosed as normal wear or some sort of lubrication issue. Bearing wear can turn into rod knock real quick. Lock up a bearing and you throw a rod through the block in most cases. Forced induction motors are very susceptible to detonation because of the high temperature and cylinder pressures created under boost. The knock count, or type of knock can go from light to severe very quickly under load. It’s this situation that causes broken rings lands and engine wear. An engine prone to detonation will also run hot, which compounds the problem because an engine that runs hot usually suffers from more knock. The scenario continues to snowball until the knock becomes destructive. 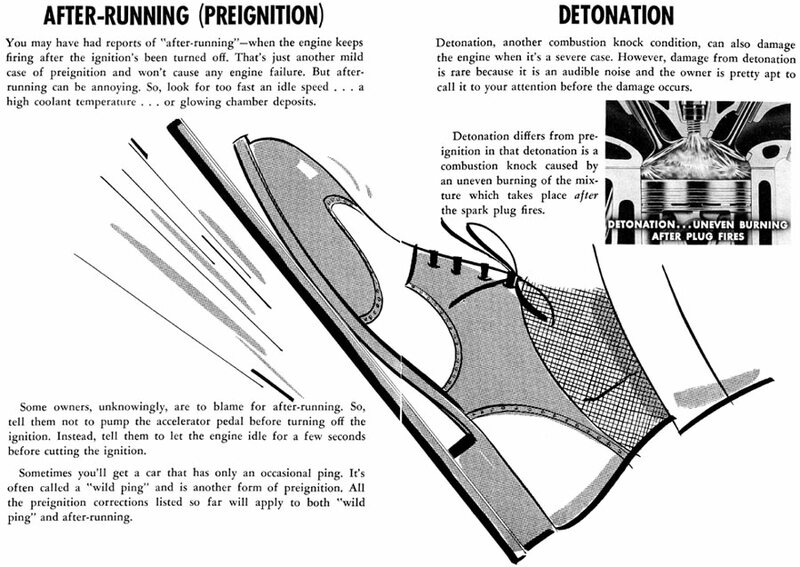 There are 2 methods of detecting detonation, aside from the mechanical inspection of engine parts. One is to use some sort of listening device. This device listens for knock to occur, sometimes warning the user with a light or noise if knock is detected. There are even headphones one can wear to monitor some devices in real time. Some professional dyno tuners will run a rubber hose from the motor into the dyno booth and use a cup on one end to amplify the sound. Simple but effective. The other method is to closely monitor your exhaust gas temperature (EGT) readings. As detonation occurs, the EGT actually drops. The only way to use your EGT gauge to detect detonation is to be very familiar with the normal operating temps. If you’re normally operating at 1400 degrees and you make a change to your tune (like adding more timing or trimming the fuel map), and all of the sudden you’re running at 1150, you are probably suffering from detonation. If a motor is mechanically sound, doesn’t overheat and is in otherwise perfect order yet still suffers from detonation, the cause is most likely octane deficiency. The fuel simply lacks the octane ratio high enough to avoid spontaneous ignition. Octane ratio is a fuel’s ability to resist auto ignition. That means when it’s heated to a certain point, it will simply ignite by itself. For instance most pumps offer 87, 89 and 91 octane gasoline. The smart people of the world have already written everything on octane ratio, so I’m not going to explain the formula. You can take my word for it when I say, 91 octane pump gas has a higher resistance to knock then 87 octane. A motor that runs fine on 87 octane might suffer from mild knock on a really hot day – This is an example of how sensitive engines can be to fuel octane. To eliminate detonation and still pursue gobs of power you HAVE to understand the close relationship that compression ratio, octane and ignition timing share. Let’s assume we’re working with a standard 91 octane pump fuel, since that’s the highest octane regularly available at most stations in the US. Lets use a 1995 240SX with a KA24DE for the example. The motor has a static compression ratio of 9.5:1 and has a base timing of 20* BTDC. We’ll be able to run 6-8 psi without retarding the timing while under load, or on boost. But anything higher then 8 psi and it will start to detonate pretty quickly because you’ve reached the octane limit of your fuel, 91 octane pump gas. The most common way to eliminate detonation while on boost is to retard the timing while in the boost area of the map. By that I mean, retard the timing by roughly .5 degree’s for every 1 psi of boost, OR by retarding the base timing a few degrees. Now, the problem with just retarding the base timing is that eventually you’re working backwards and you’ll be sacrificing power and efficiency for the sake of increasing boost. Another option is to change your static compression ratio by switching to lower compression pistons or running a thicker head gasket. If we lower the static compression of our KA24DE by to 8.5:1 we can safely run 2-3 more psi of boost, bringing the max to 8-10 psi. The trade-off in this situation will be less power and lower mpg, although you shouldn’t notice much “seat of the pants” difference in my experience. But you can’t make something less efficient and not expect losses – which is why we don’t just keep reducing the compression and cranking up the boost. Lowering the static compression to something in the 8’s is the usual course taken if you’re going to run boost numbers upwards of 20psi. In our case, the power lost by reducing the compression 1 point is marginal compared to the gain in power we’ll achieve by running an additional 3 psi of boost. Tuning your AFR to run progressively richer under boost is another standard method to avoid knock. The extra fuel will help to keep the combustion process cooler. Again, however, you can only add so much fuel before you begin losing power for the sake of boost. The last option is my personal favorite. If octane is the key to preventing detonation, why not just increase the octane ratio? Increasing the effective octane ratio of the fuel allows us to run more boost, more timing and more compression. This can be done in many different ways. The easiest way is to run a high-octane race fuel, but that’s hardly economical unless you’re only running high boost at the track. Another method is to use some type of sub-injection. Sub-injection uses a standalone system to inject a separate high-octane fuel, usually prior to the throttle body in most cases. Let’s use methanol as an example since it’s a common fuel used for sub-injection. Methanol has an octane ratio of about 110. When injected with 91 octane pump gas, the effective octane ratio is increased (depending on the ratio of the mixture). This increases the amount of boost we can run before detonation occurs. If our internals are sound, our only limiting factors will be fuel injector size, turbo size and octane management. In the end, you can only run so much boost in any situation because you’ll start to be octane limited. Once any particular fuel reaches its knock threshold it will spontaneously ignite. Again, the severity of detonation differs greatly, but a performance engine runs very close to the knock limit all the time – because that is where the power is! Things like heat soak also decrease the amount of time you can stay under load, so if you’re racing, don’t assume that just because it was good on the last pass that it’ll be good for another pass without a cool-down period. There is a fine line where ignition timing, compression and boost pressure all work in harmony to burn the AFR mix. 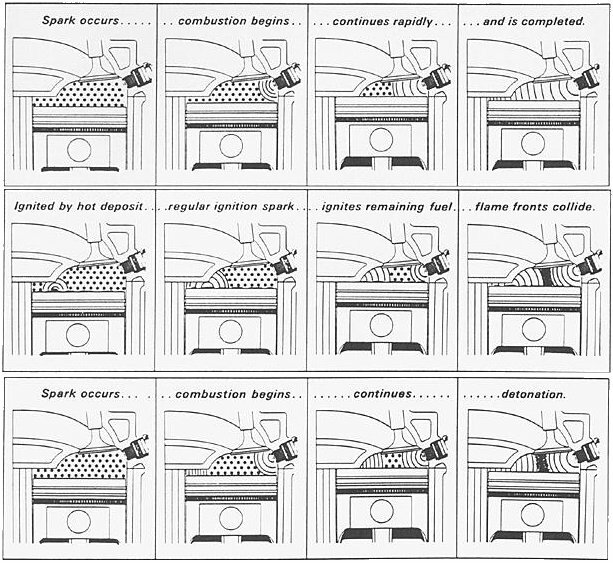 Below is an image showing normal combustion, followed by images illustrating pre-ignition and detonation. Detonation and Preignition for Dummies!